French windows never go out of fashion, and for good reason. They’re a natural way to create continuity between your interior and exterior. The best ones make even a modest garden seem ultra-inviting, plus they let the light flow in and add character and romance to an ordinary room. 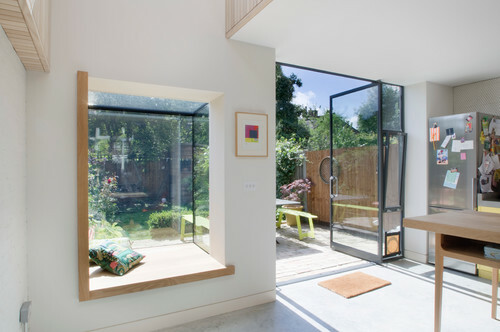 The stunning modern wall of sliding glass may be growing in popularity, but a humble pair of traditional hinged, glazed French windows still has its place and, crucially, can be surprisingly affordable. So whether you want something simple or are aiming for extra-special, take a look at these lovely ideas to help you decide which style might work for you. Used cleverly, French windows can frame a tantalising glimpse into your home as well as out of it. Here, the rustic dining table makes a charming centrepiece in this country-style room. Period-style doors with horizontal bars, like these, can look less fussy than Georgian ones, but more interesting than totally plain doors. Before you choose your French windows, think hard about what will blend best with the architecture of your property. In this home, minimal bespoke French doors echo the modern space, and create a clean, bright feel: more traditional French windows might have felt overly fussy. French windows don’t need to be over-designed. 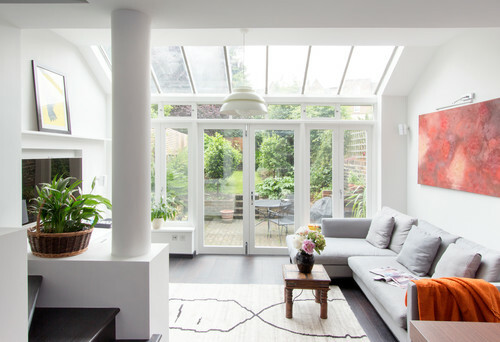 A line of plain white windows can look brilliant, as this breezy living area proves. Here, the windows meet the skylight for maximum light potential, while the lines of the doors subtly mirror those of the ceiling panes above, so the space feels perfectly tied together. Don’t assume French windows only work leading onto large gardens from large rooms. 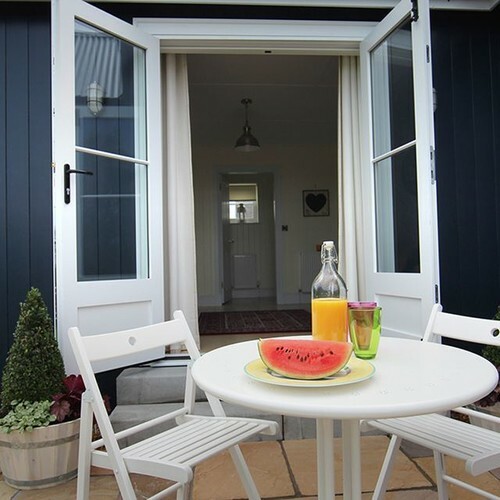 A modest set of doors can instantly create a cottagey, homely vibe, as seen with this simple patio. The doors make a small seating area ultra-inviting and easier to access, so far more likely to be used for breakfasts on sunny mornings. This cool wall of black French windows makes a bigger style statement than more conventional white. It also complements the industrial vibe of the open-plan living space – Crittall-style metal windows, featuring checkerboard panes of glass, have a factory-esque feel. Before you shop for your doors, consider which style of window you love – single pane or multiple; modern or traditional. 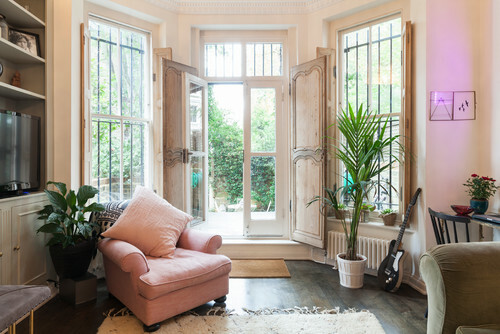 Georgian-style doors with multiple panes are a truly timeless look, especially in period properties, and give rooms an elegant, conservatory feel. 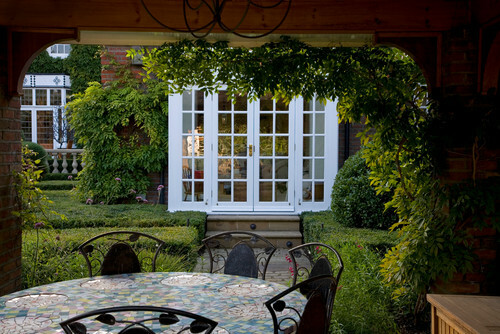 Here, the box hedge and wrought iron garden furniture finishes the country manor look. If your budget is tight, shop around for similar doors ready-made. Don’t automatically plump for plain white frames. These wooden French windows add warmth, style and character to the living room, and cleverly echo the wooden CD shelves. Installing small windows across the top of the doors is also worth thinking about: not only do they add extra light, they can provide ventilation on those days when you don’t want to unlock the doors. Want to cover up your French windows, whether for privacy, warmth or shade from the sun in south-facing rooms? This homeowner has added charm to plain glazed doors with a set of wooden shutters. The result is romantic, bohemian and pleasingly individual.